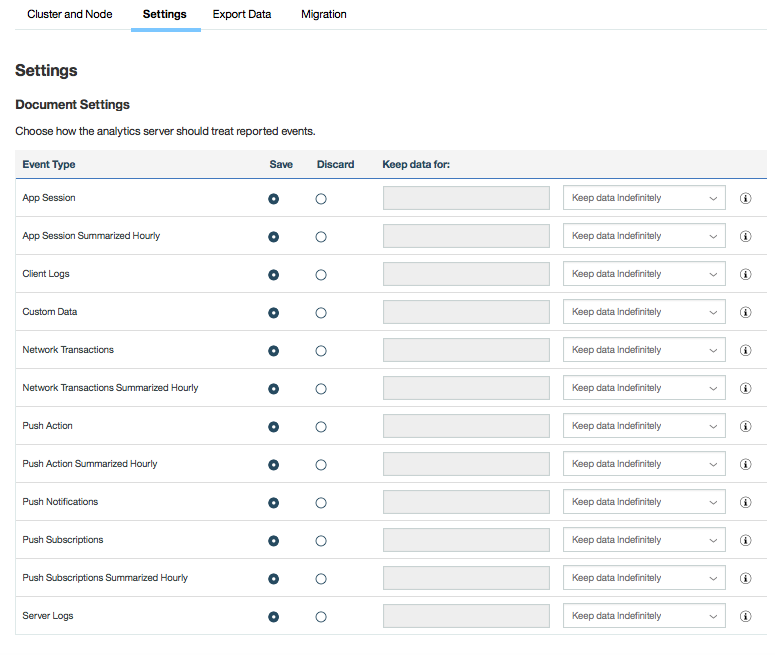 MobileFirst Analytics data is stored on the server and is available for reporting until the data is purged. You can control which event-type data is retained or purged. The data can be purged at regular intervals, or manually. From the MobileFirst Analytics Console, click the Administration icon ( ). Select the Discard radio button to delete data immediately. In the Keep data for column, choose the number of days to retain, or leave the default Keep data indefinitely value. The new retention policy is in place.